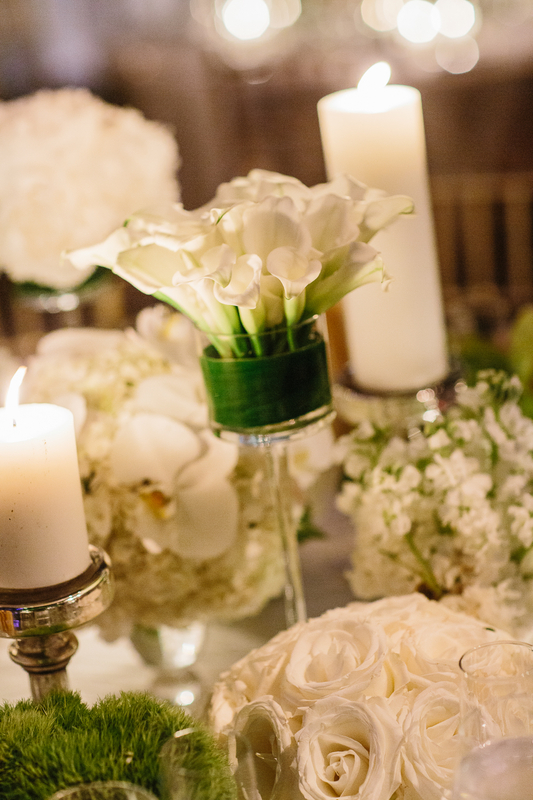 Thanks Joanna Toto for Ira Lippke Studios for the beautiful photo! 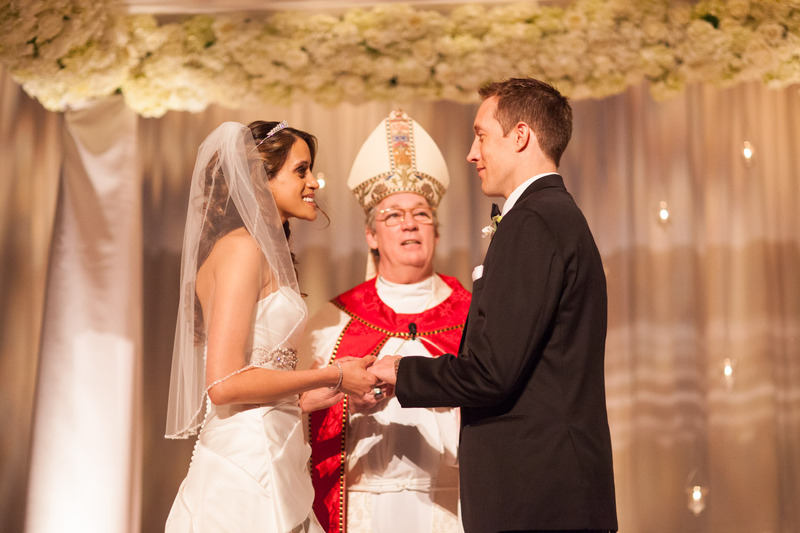 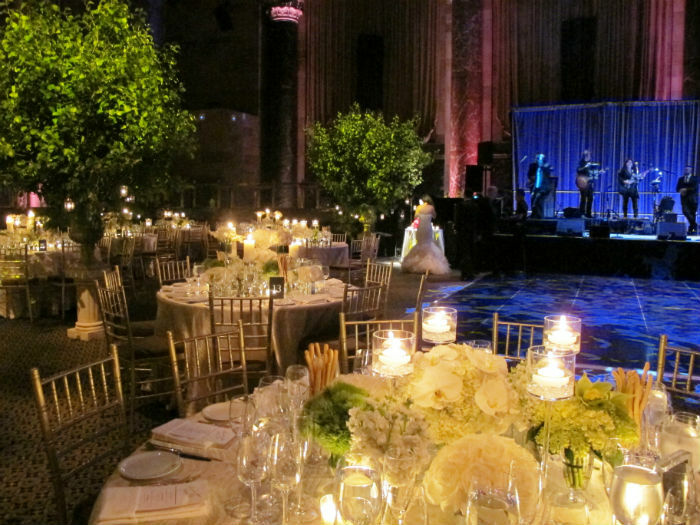 Jessica & Rory’s wedding must be one of the most spectacular weddings that we have ever designed. 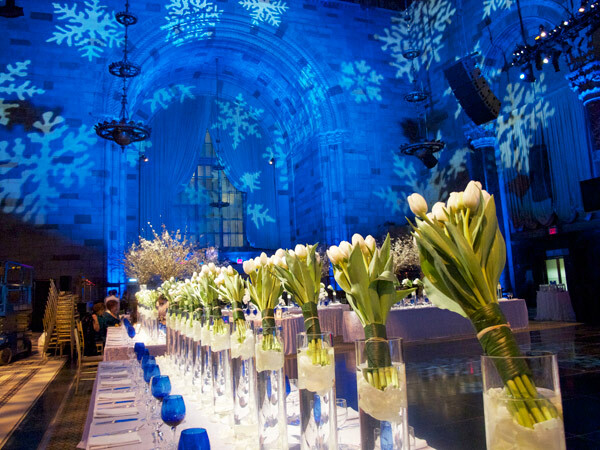 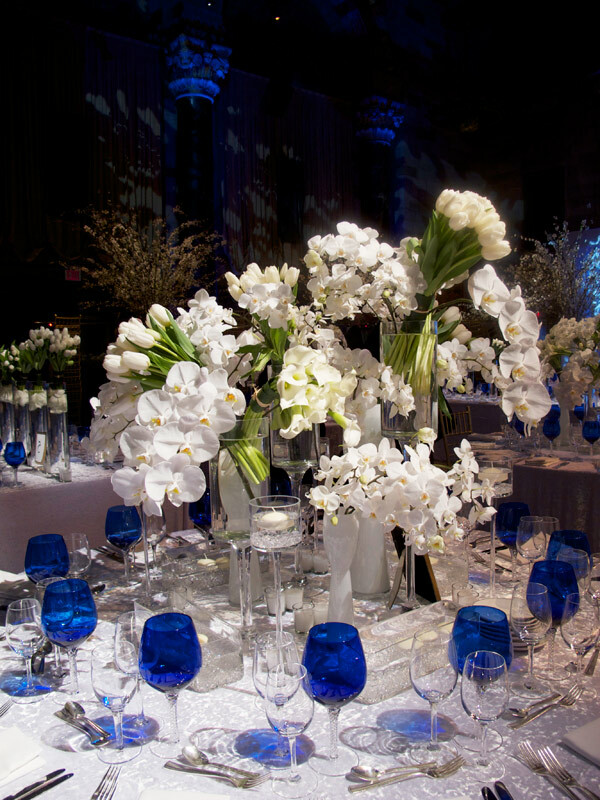 That special night, Cipriani 42nd Street was totally transformed, we would say, from head to toe; the whole venue was covered with the white carpet. 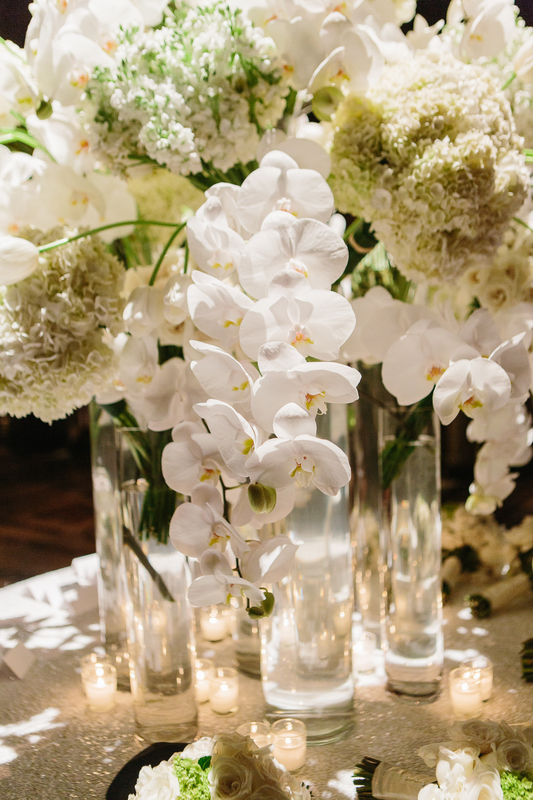 We also erected two gigantic trees with thousands of white orchids at the ceremony for our gorgeous bride and groom to exchange their vows under the trees. 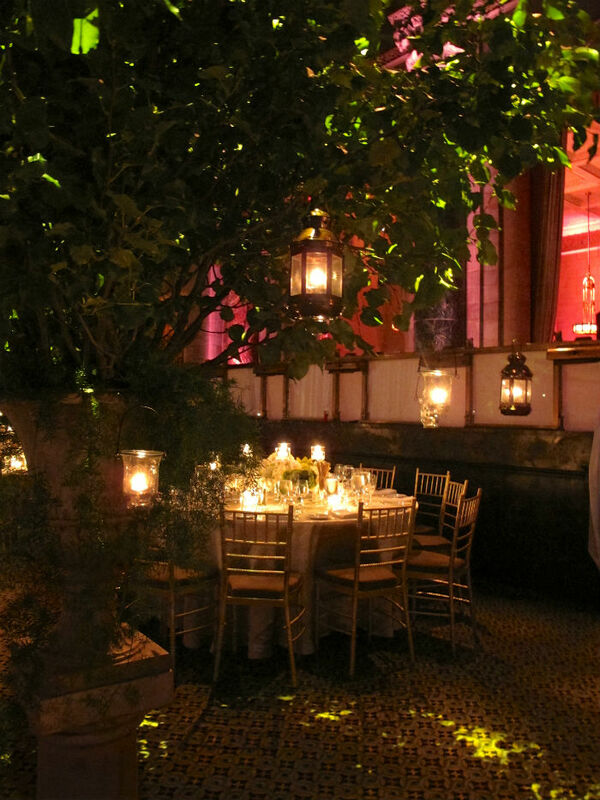 The night was absolutely gorgeous and all the guests were “WOW” by the grand design that night. 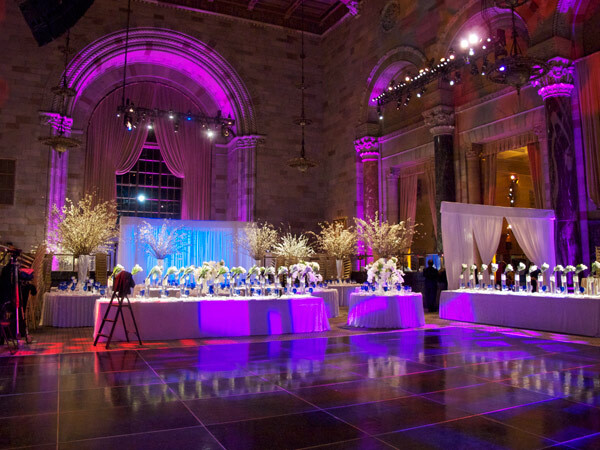 This absolutely spectacular wedding would not happen without the fabulous Mindy Weiss and her team. 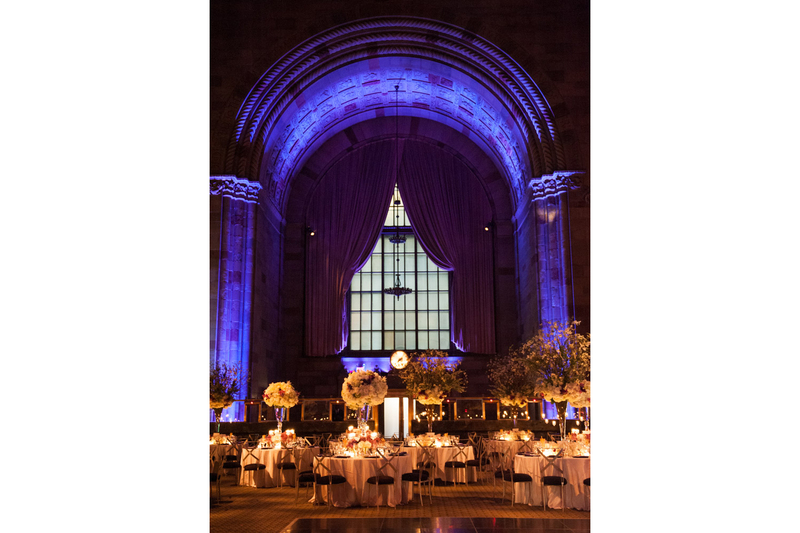 Thank you very much to Deborah Mella, Tony Grskovic and the team at Cipriani 42nd Street and Joanna Toto for Ira Lippke Studios for the beautiful photos!! 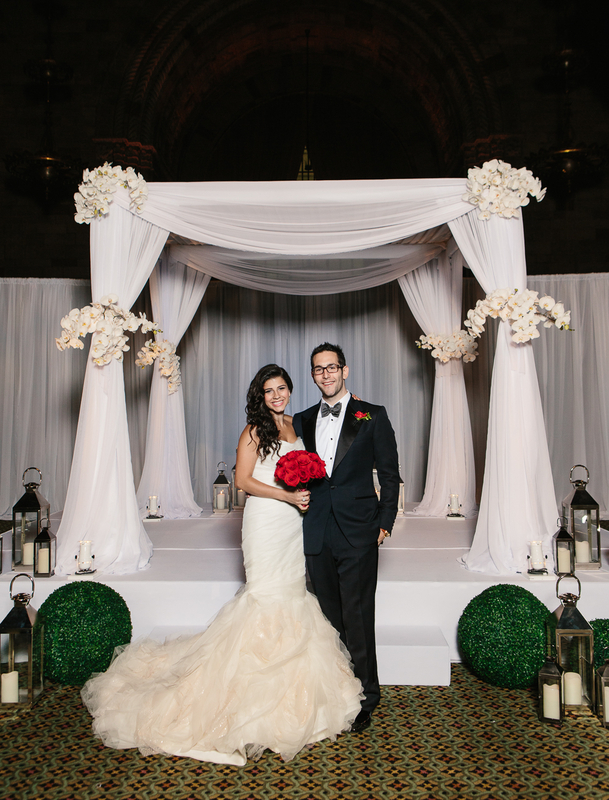 We just received the wedding photos from one of the cutest couple, Sandra and Zach, that Tantawan Bloom designed in July last year. 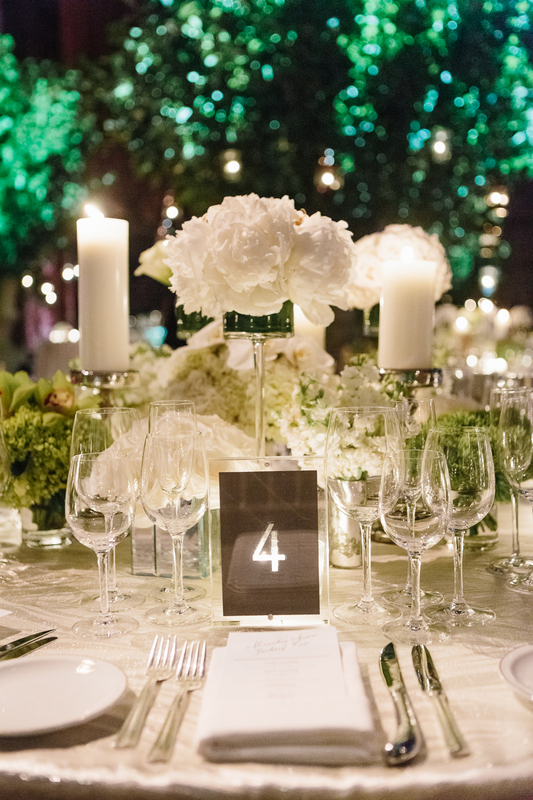 It’s a Modern Midsummer Night Dream theme with the color palette of green, white and red with tons of romantic candle lights. 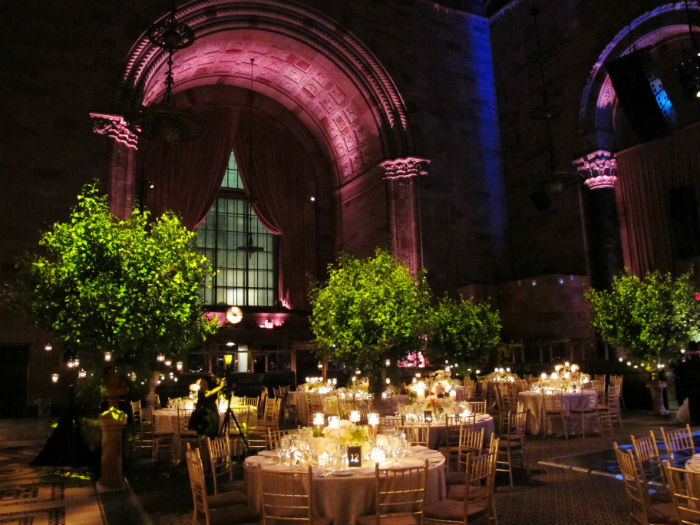 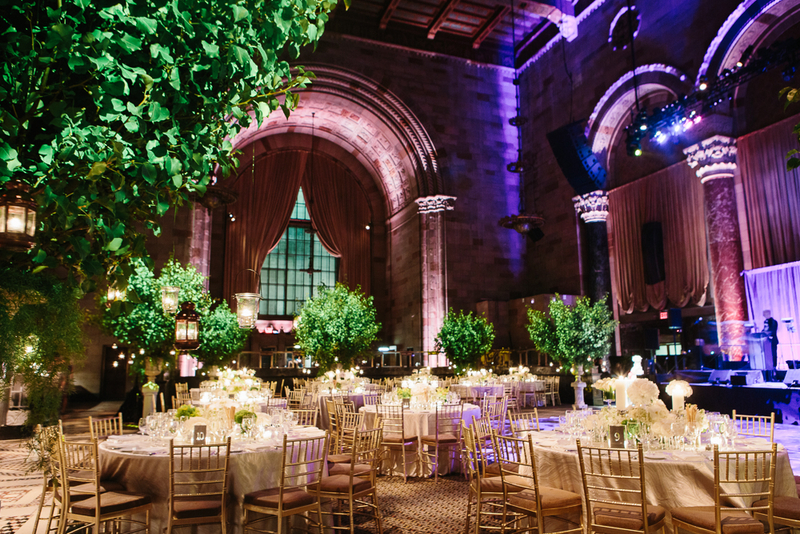 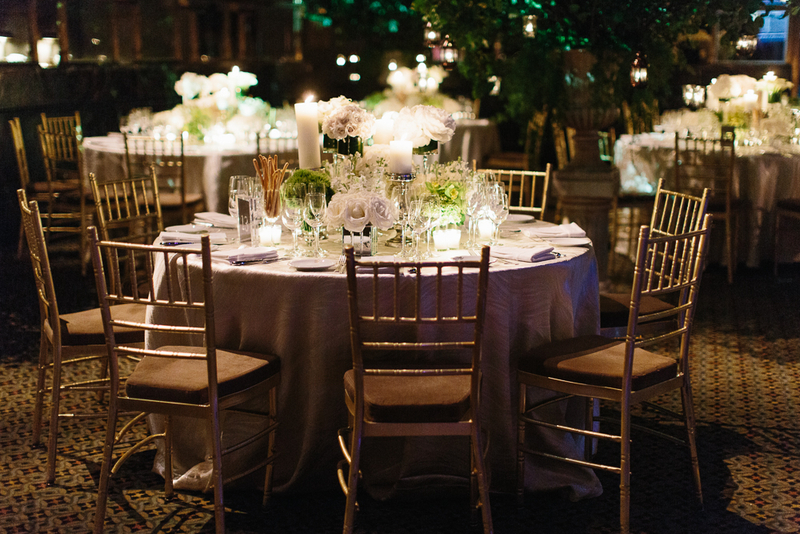 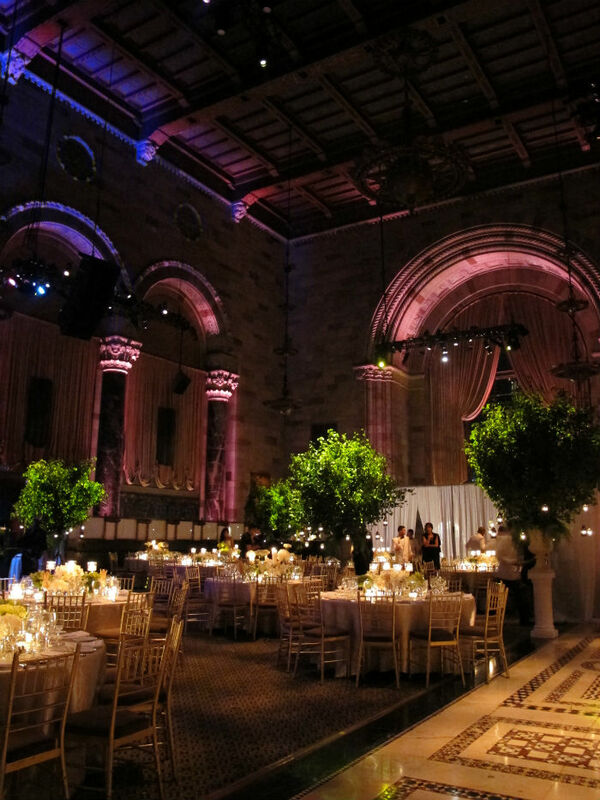 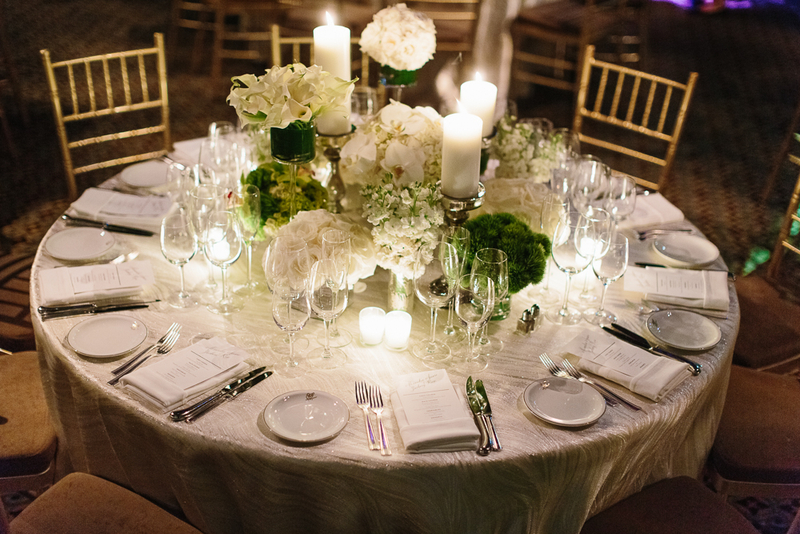 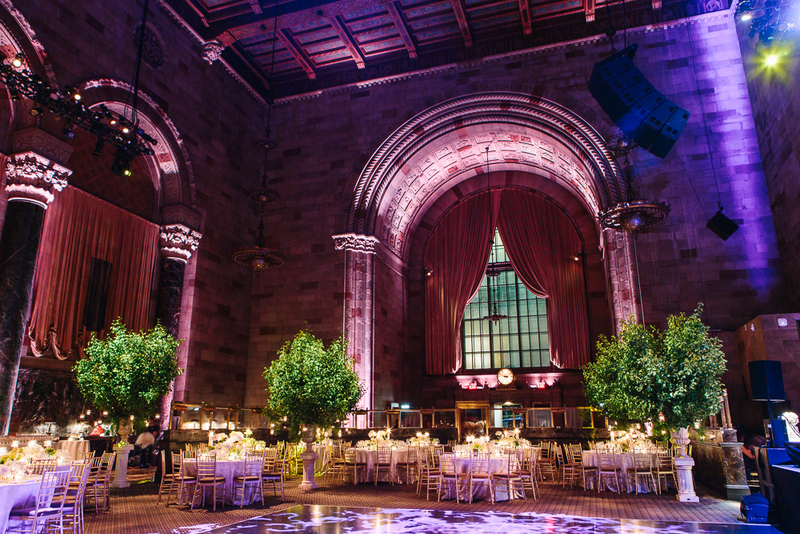 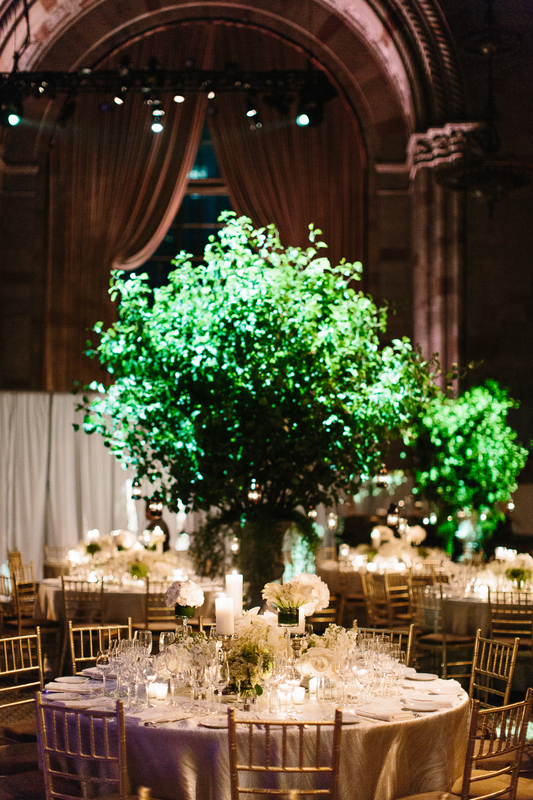 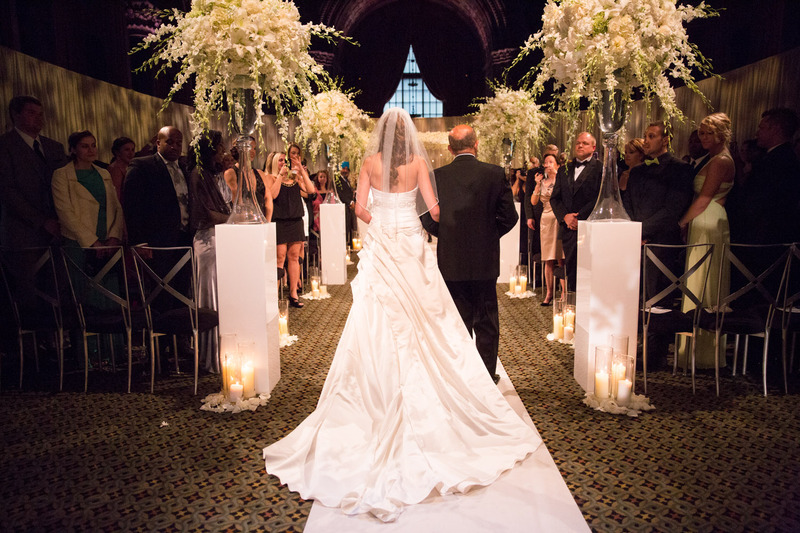 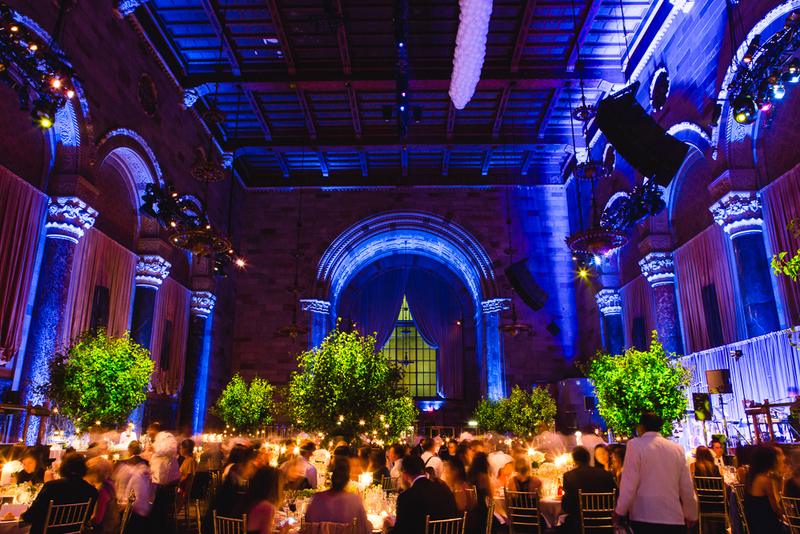 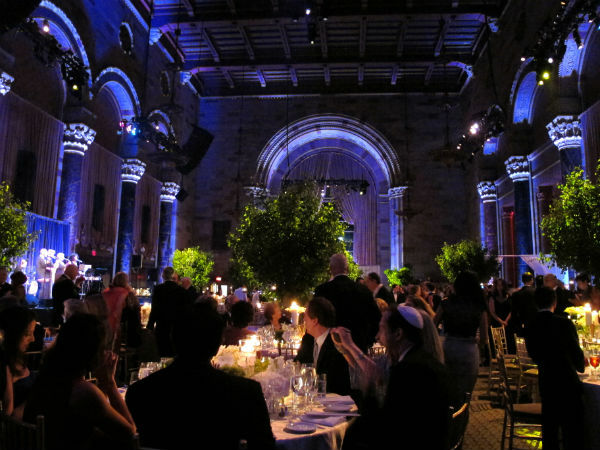 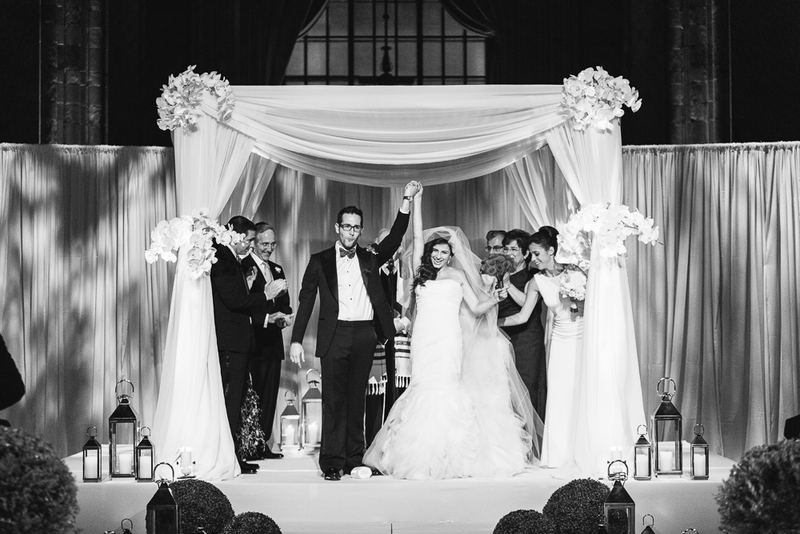 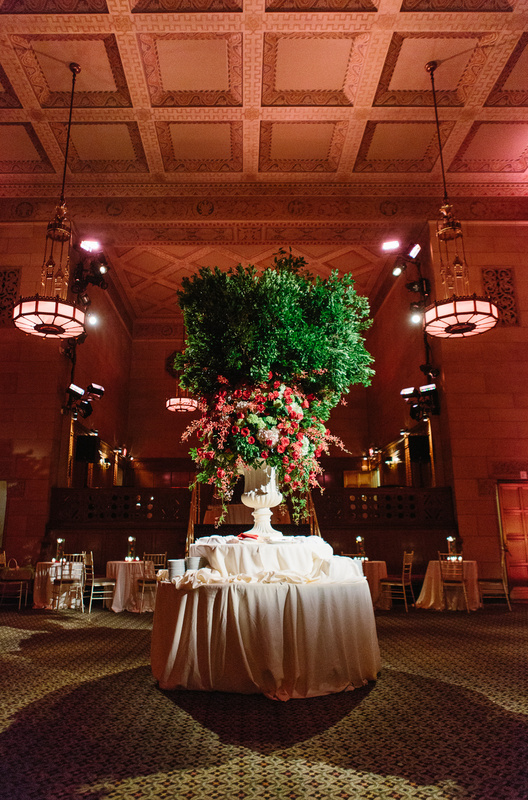 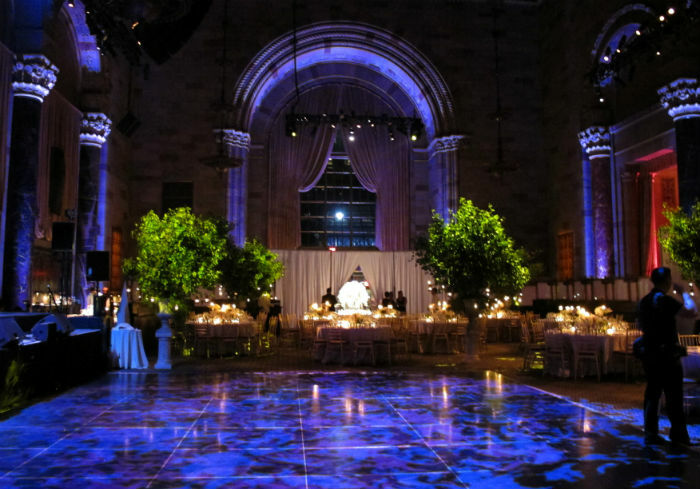 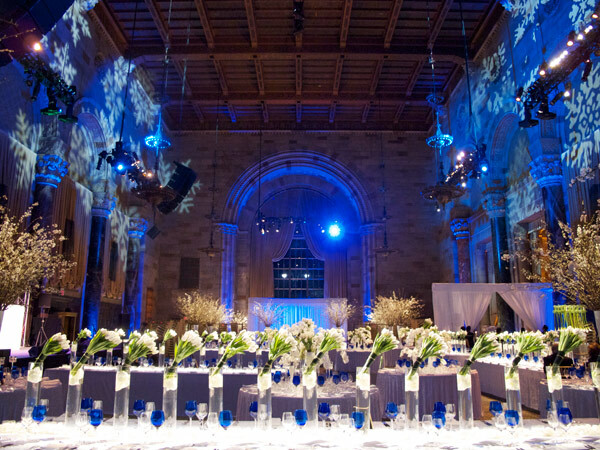 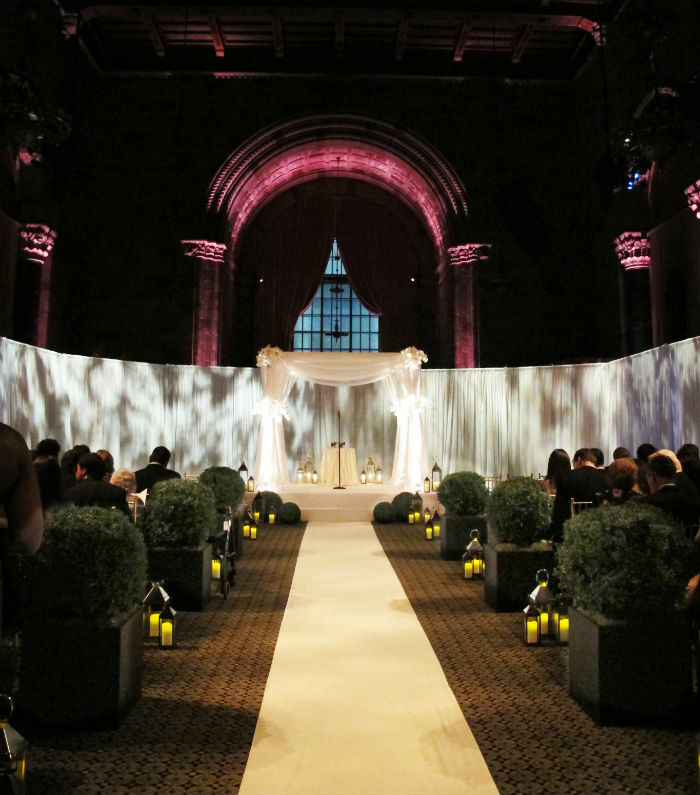 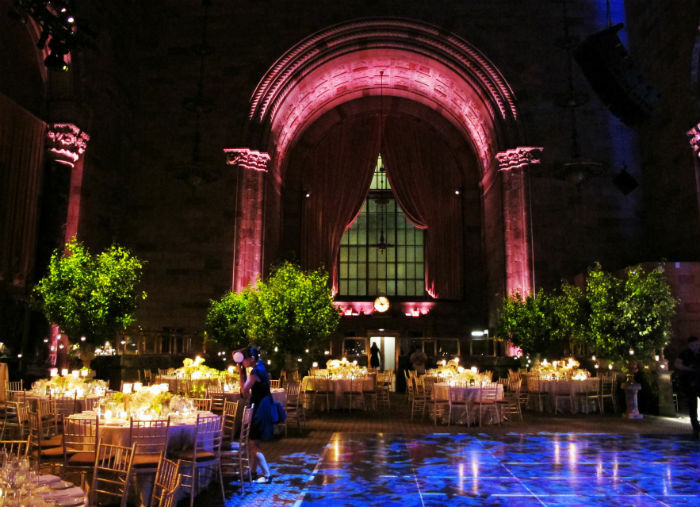 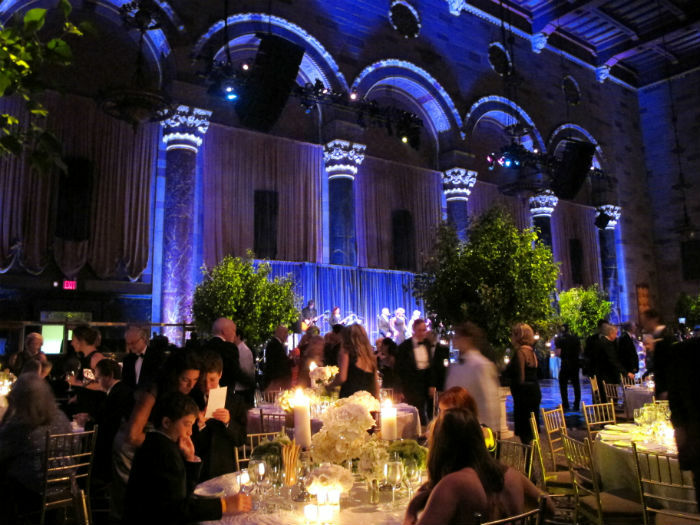 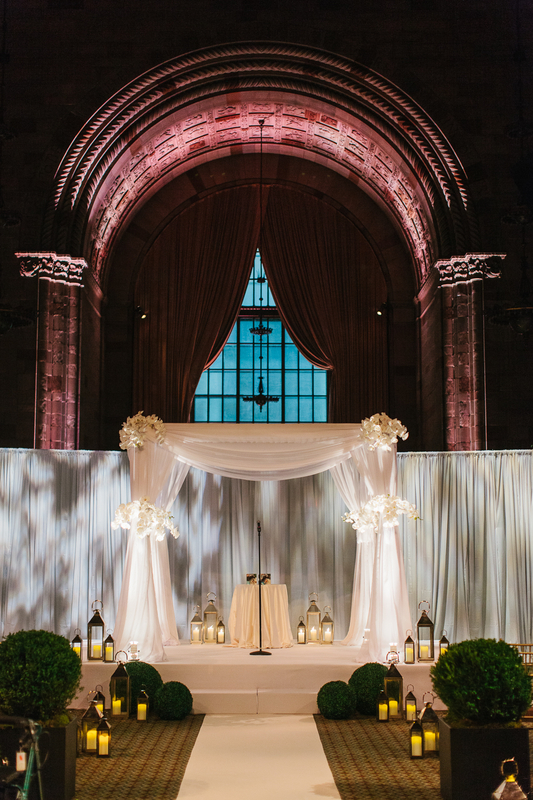 We transformed this elegant venue to be a fairlytale like wedding night right in the heart of Manhattan. 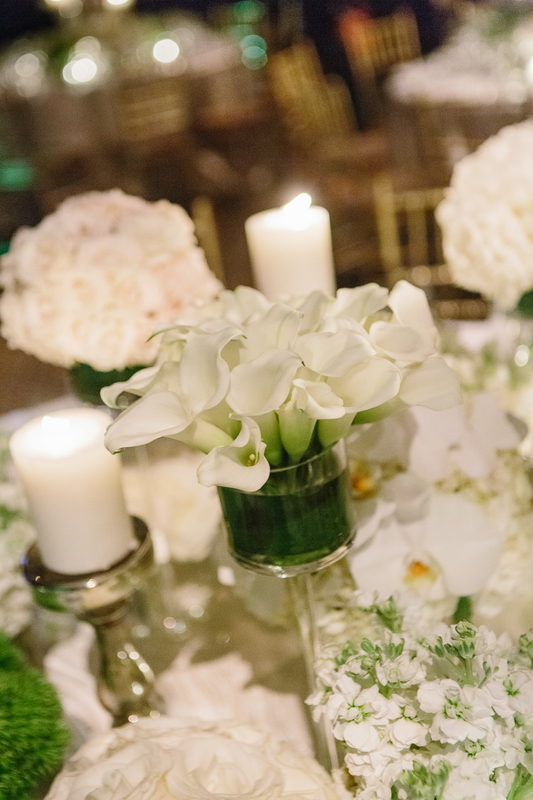 A special “Thank” to Heather Waraksa for very beautiful photos!! 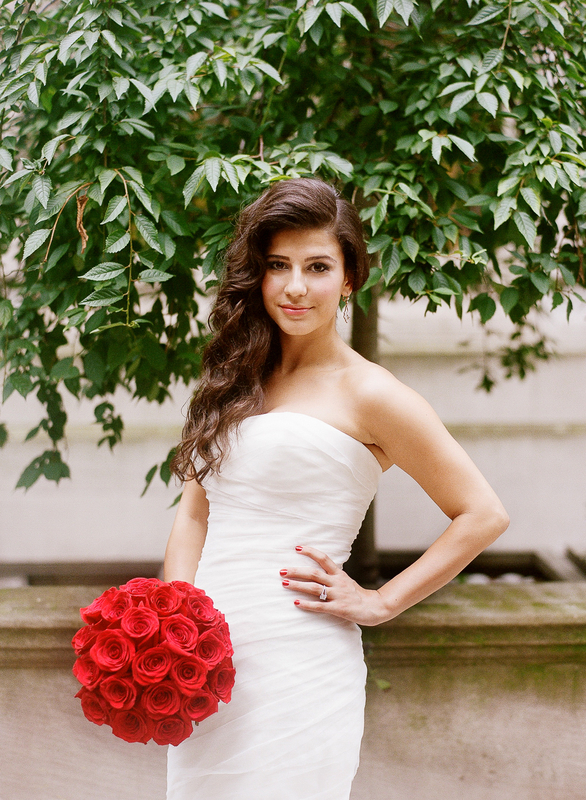 We love you too Sandra!! 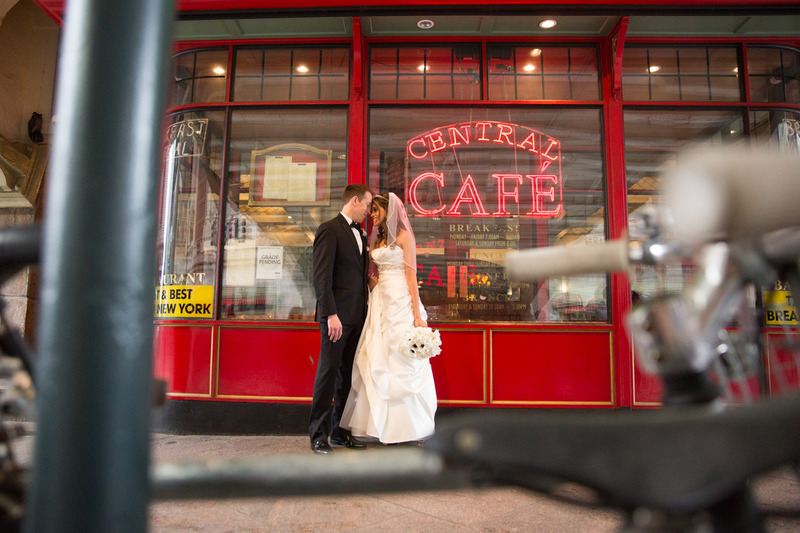 Sandra and Zach from First Day Films on Vimeo. 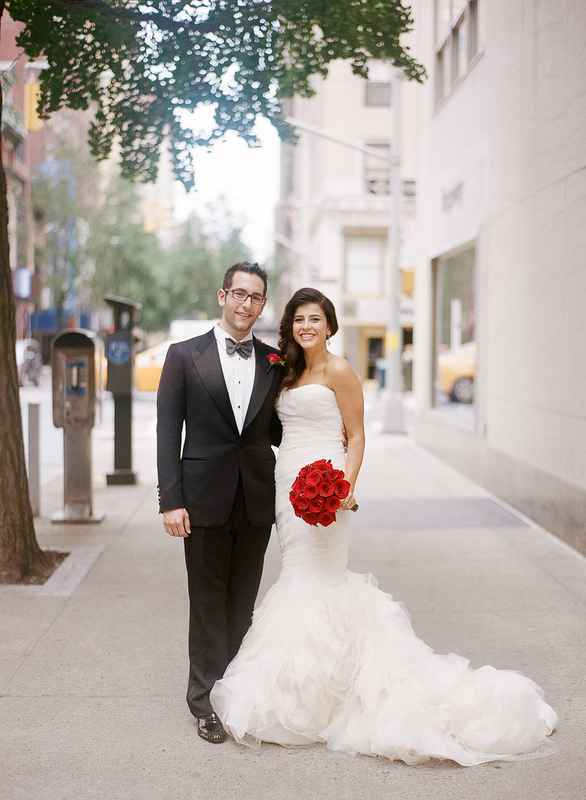 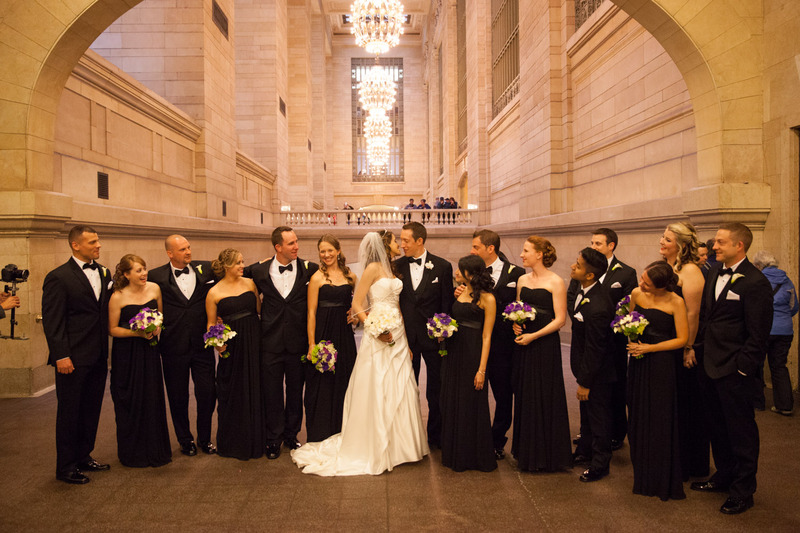 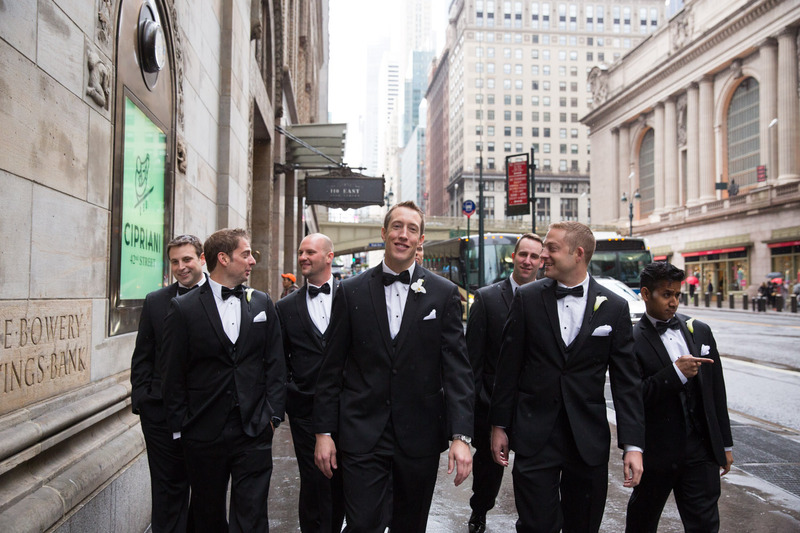 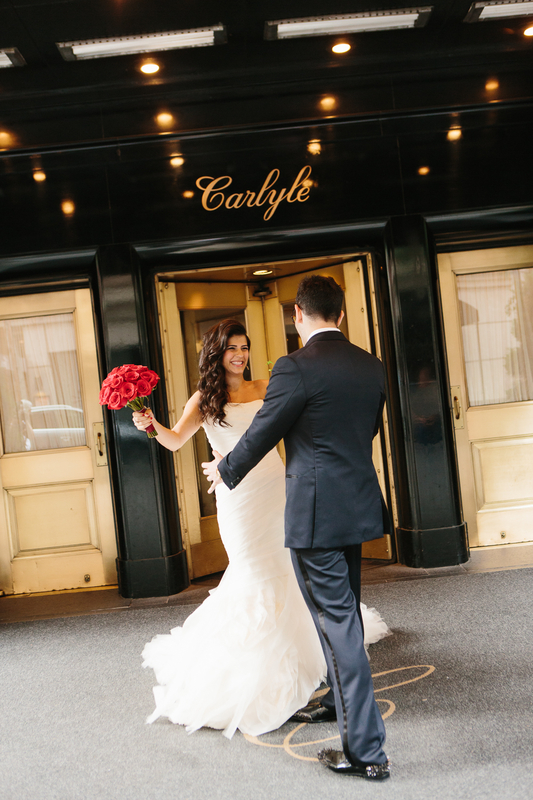 Vanessa and Mike are both from California and preferred to have their wedding in New York City. 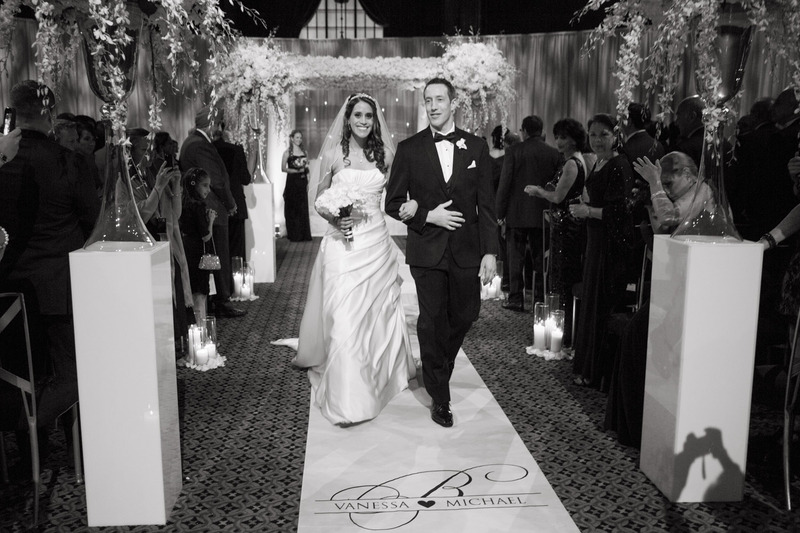 Our bride loved her wedding to be very romantic and filled with candle lights. 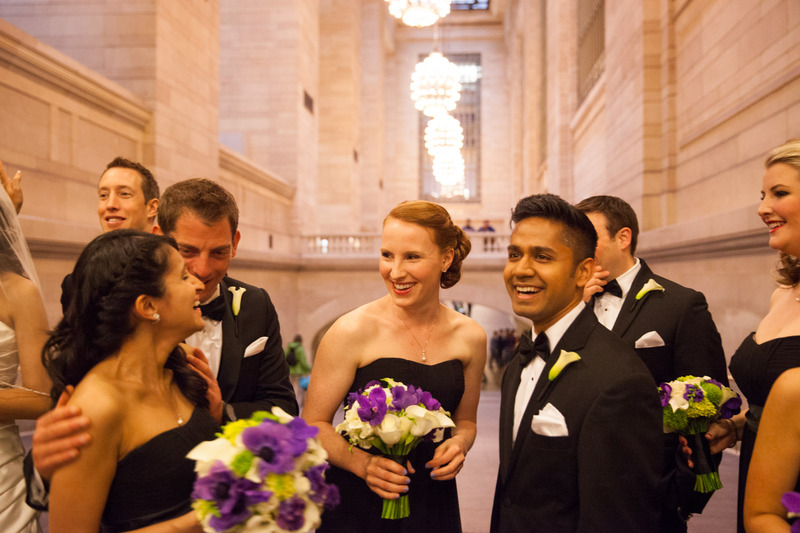 Tantawan Bloom was very thrilled to make her dream come true. 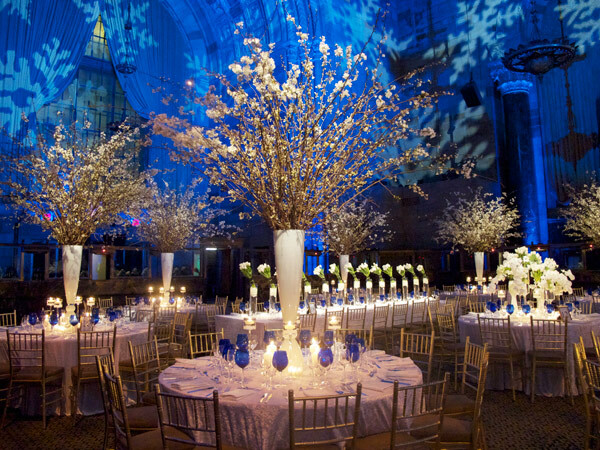 The Planner: Mary Litzsinger VP EVENTS, INC. 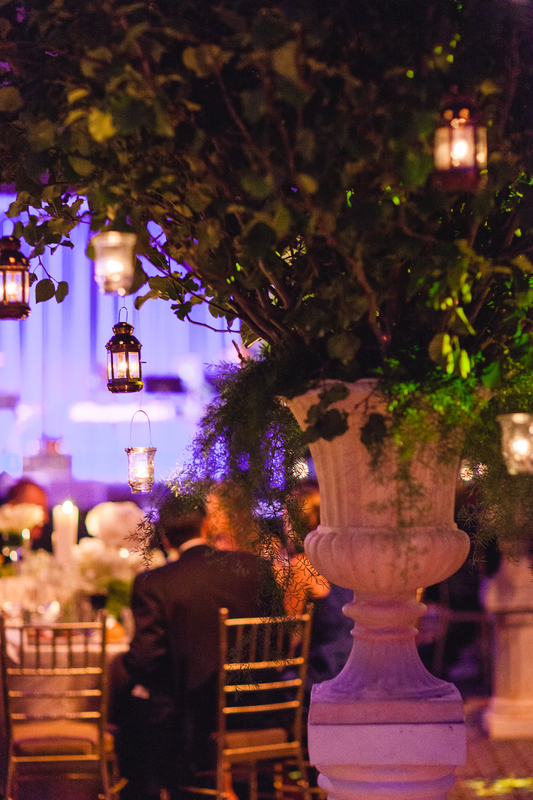 Nothing is more romantic than celebrating the most special night under the trees in the beautiful summer nights. 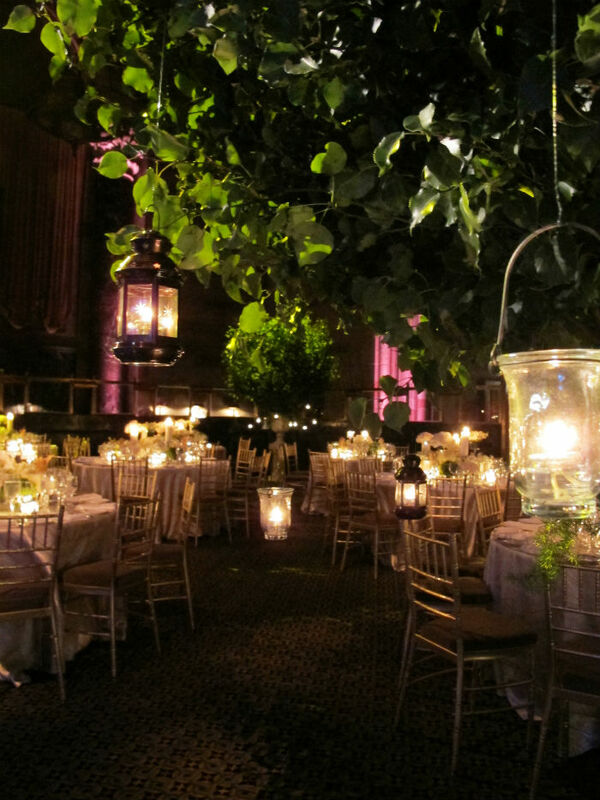 Our gorgeous bride, Sandra, envisioned herself walking down the aisle in the chic garden framed by topiaries and lanterns, then celebrated her dream wedding night in the magical forest surrounded by trees with hanging lanterns. 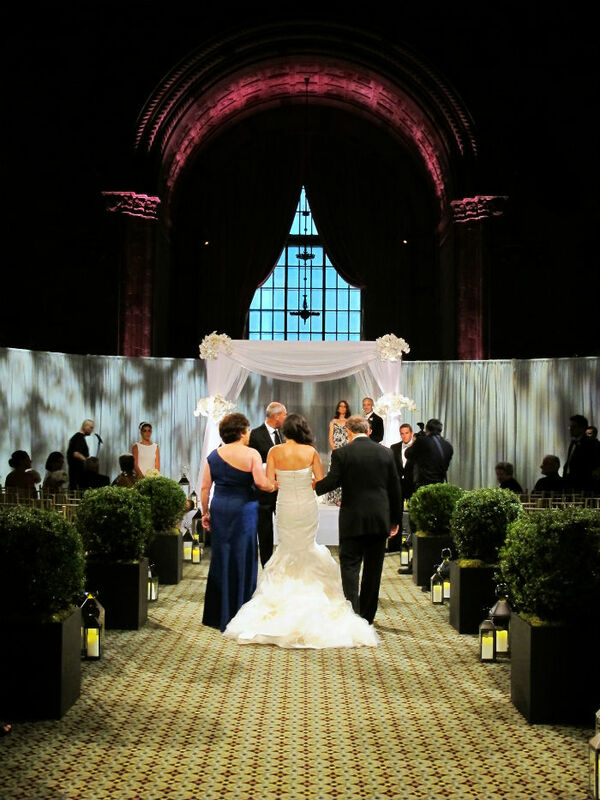 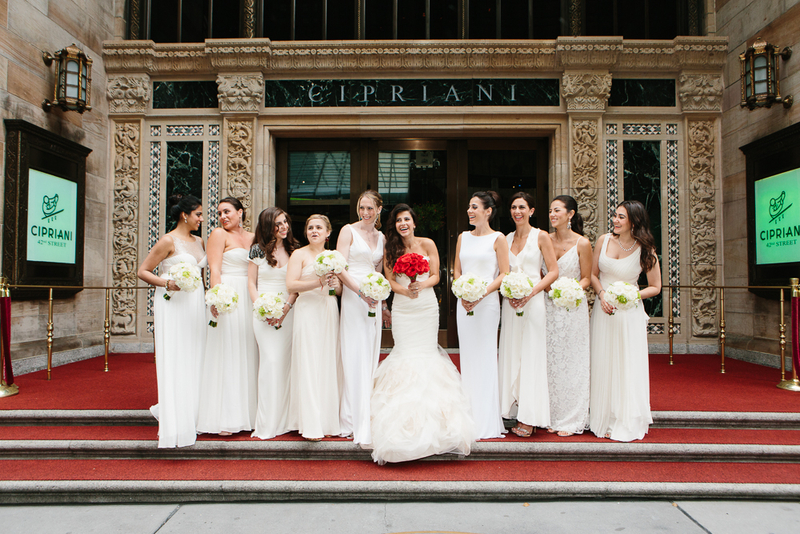 We, Tantawan Bloom, love to make our brides’ dreams come true, we transformed Cipriani 42nd street on the night of July 13 to be the most romantic wedding night that Sandra had always dreamed of. 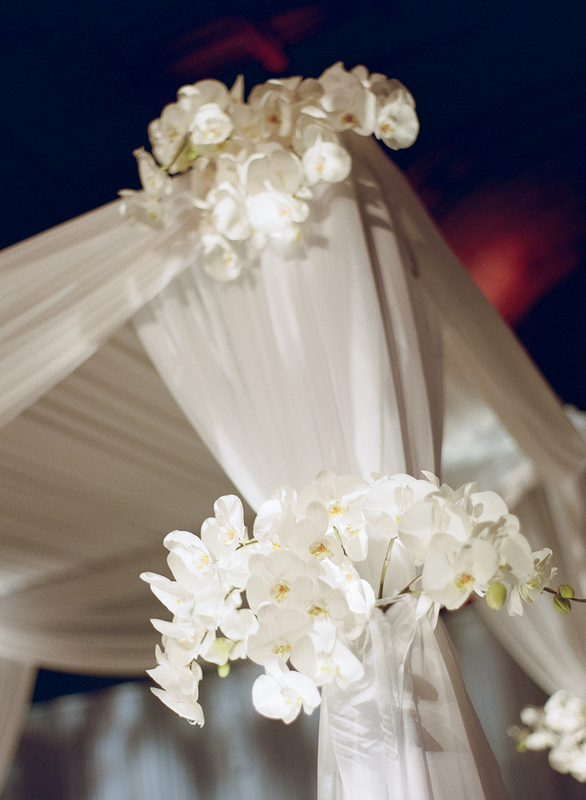 It is Tantawan Bloom’s mission to make our bride to be happy on her most special night. 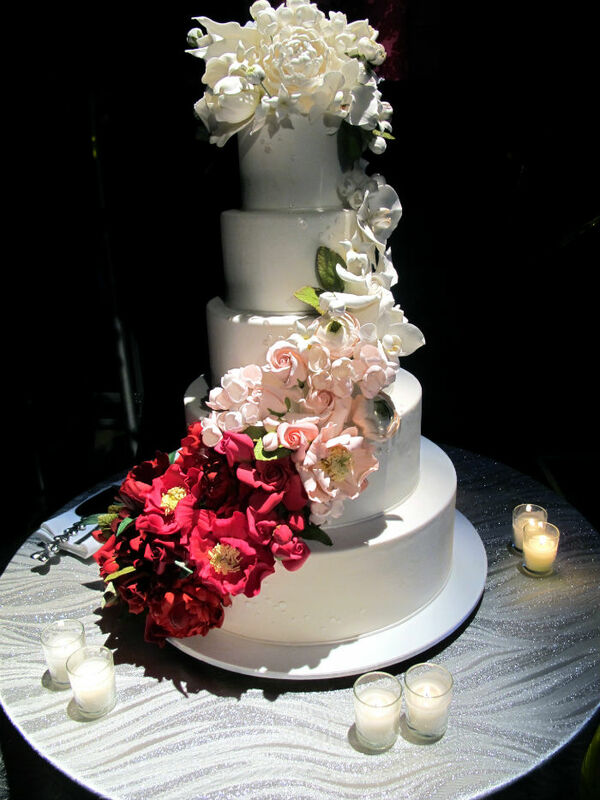 Amazing cake by the fabulous Ron Ben-Israel! 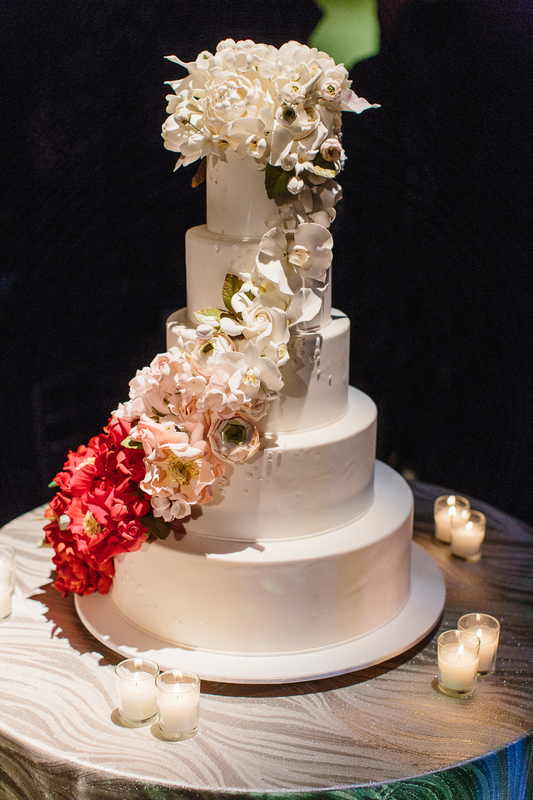 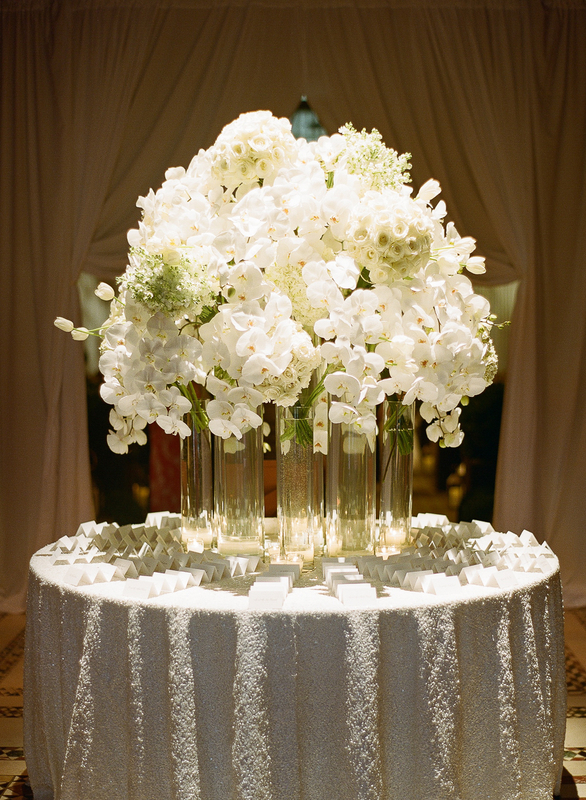 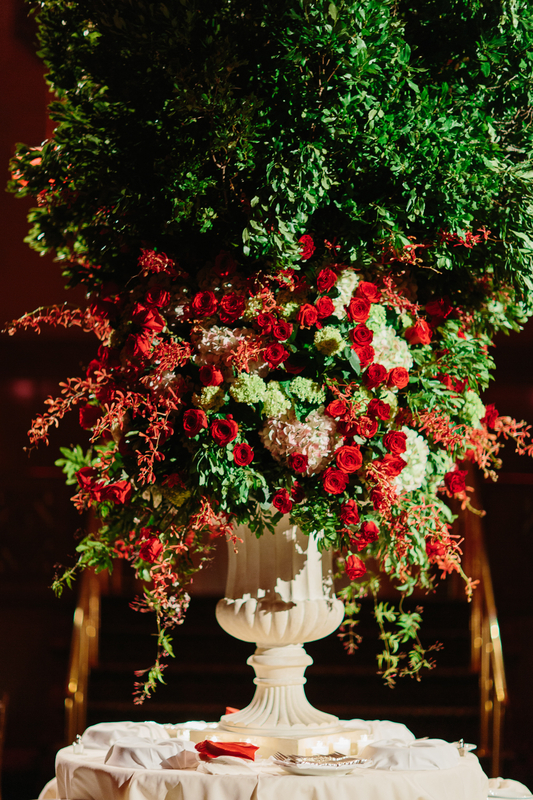 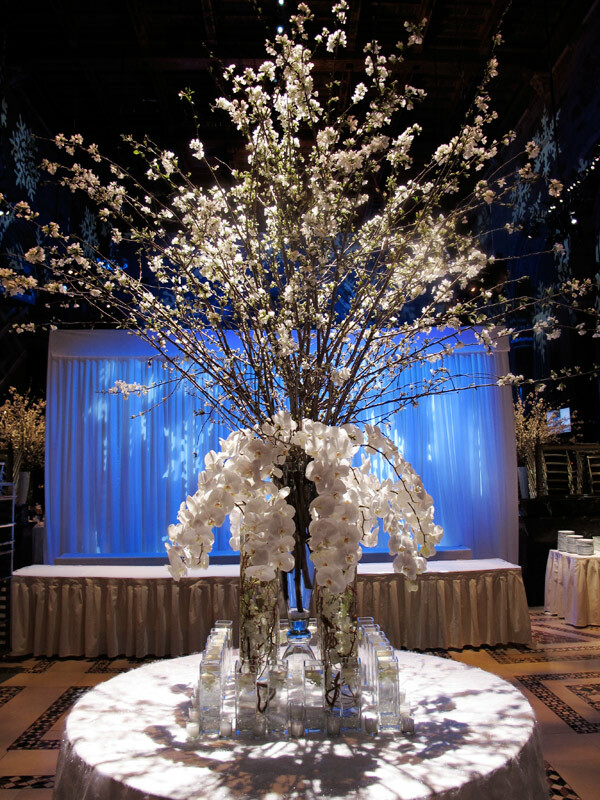 This is the latest VDO from Tantawan Bloom New York featuring our floral design and event decor. 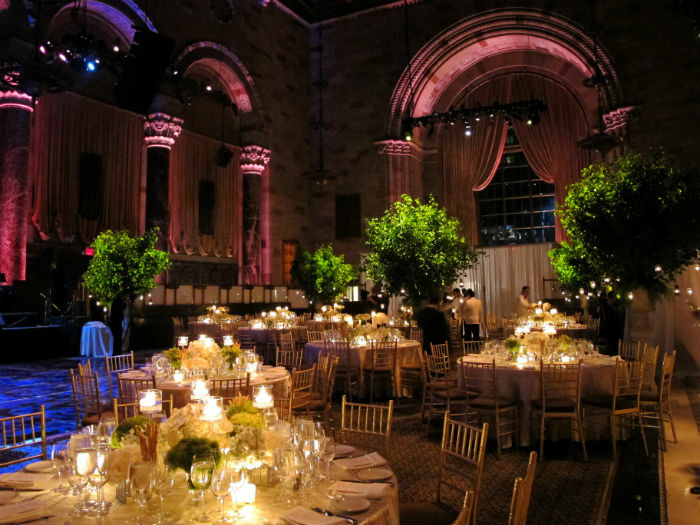 Please stay tuned, many more VDOs are coming! 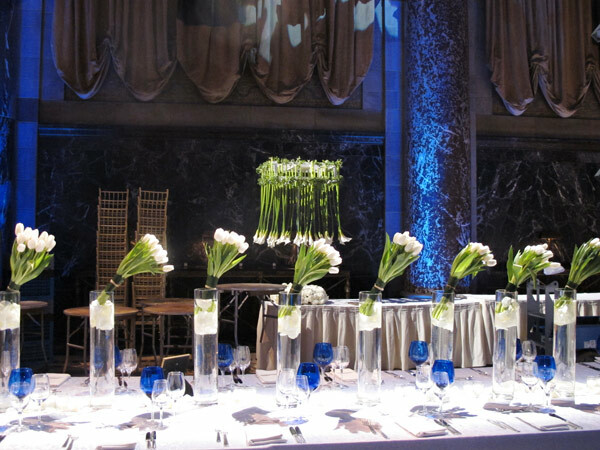 This is another VDO from Tantawan Bloom presenting our designs and event in different venues like Mandarin Oriental New York, The Plaza Hotel, The Waldorf Astoria and Gotham Hall. 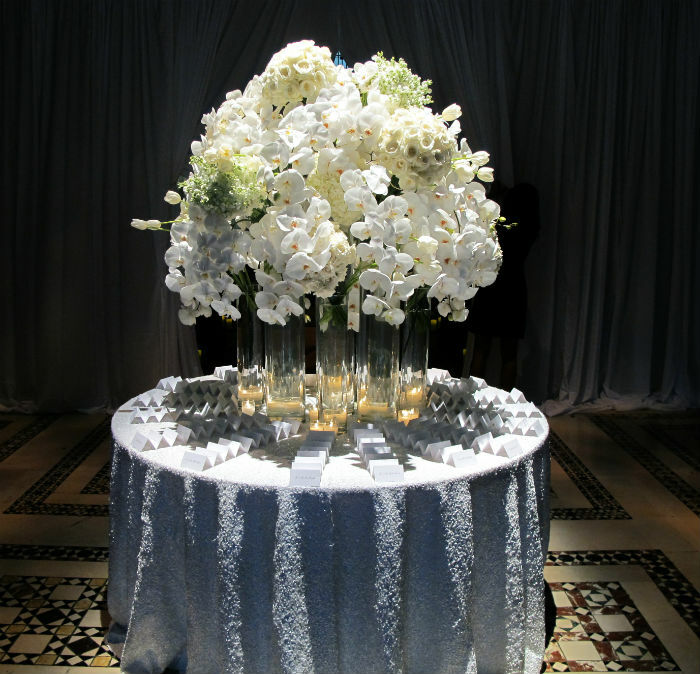 Don’t forget to follow us on VDO channel on YouTube: TantawanBloomNewYork. 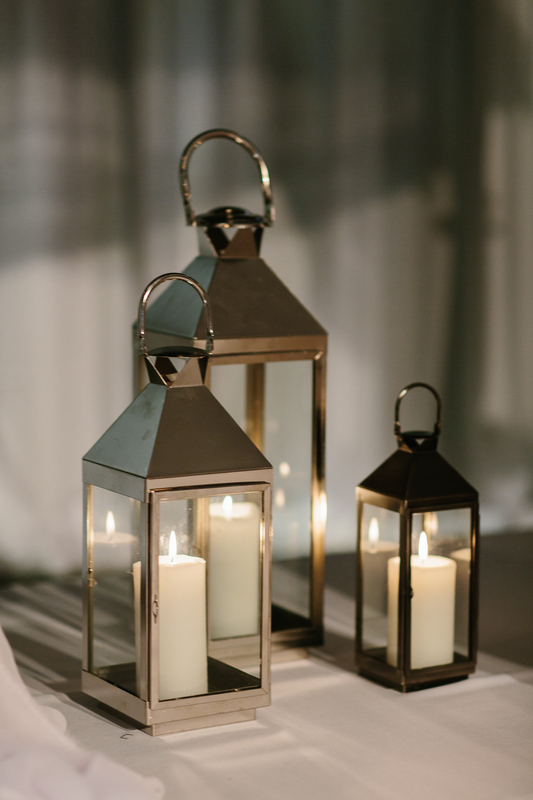 There are more VDO being produced!! 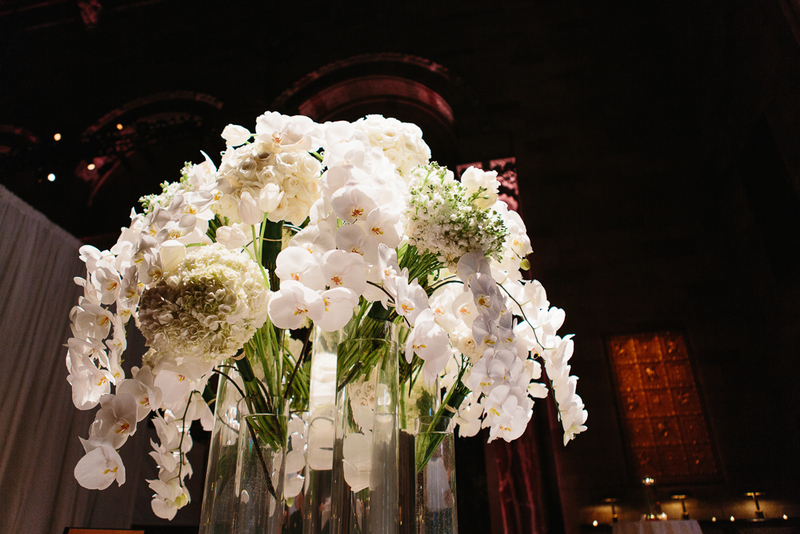 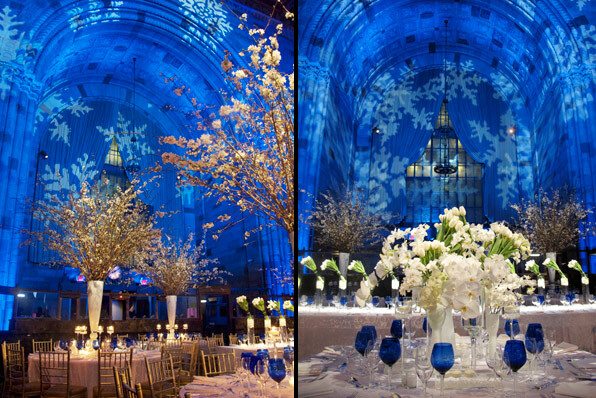 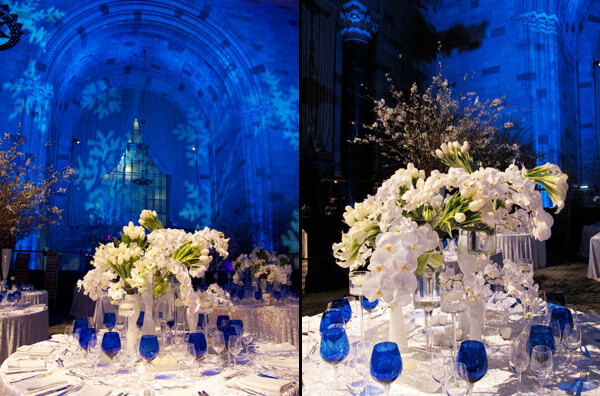 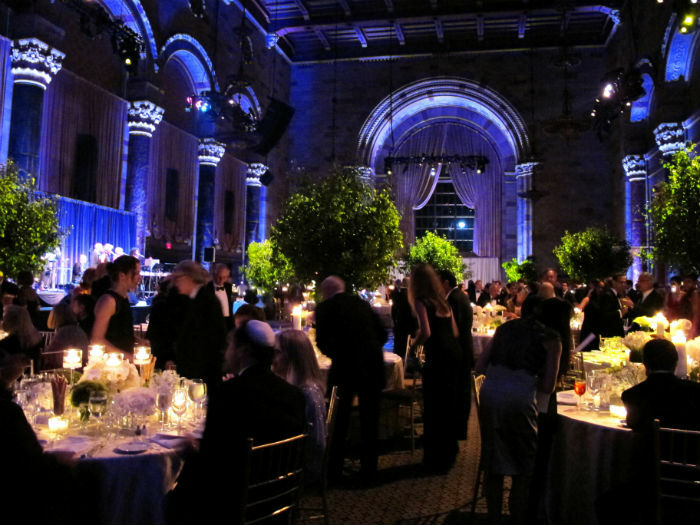 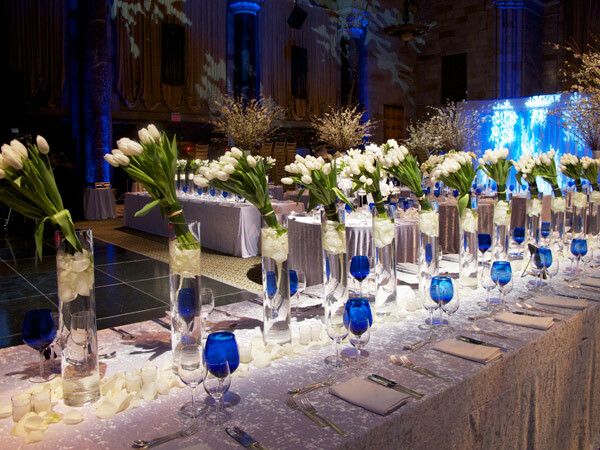 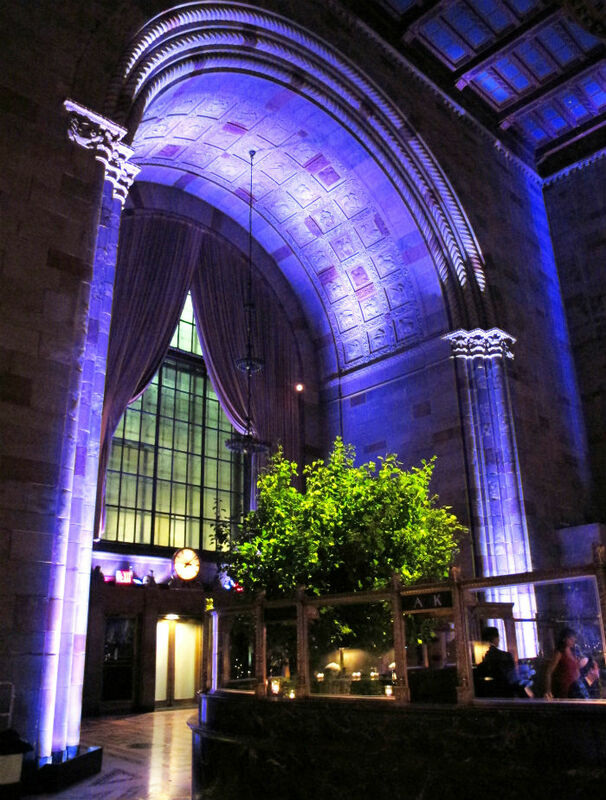 The past March, Tantawan Bloom designed one of the most beautiful Bar Mitzvah for Michael at the Cipriani 42nd street. 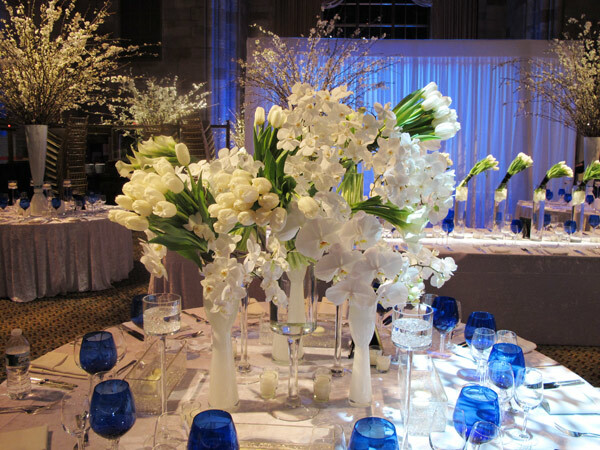 Our simple yet elegant floral design particularly “March of Tulips” on the long tables “WOW” the guests. 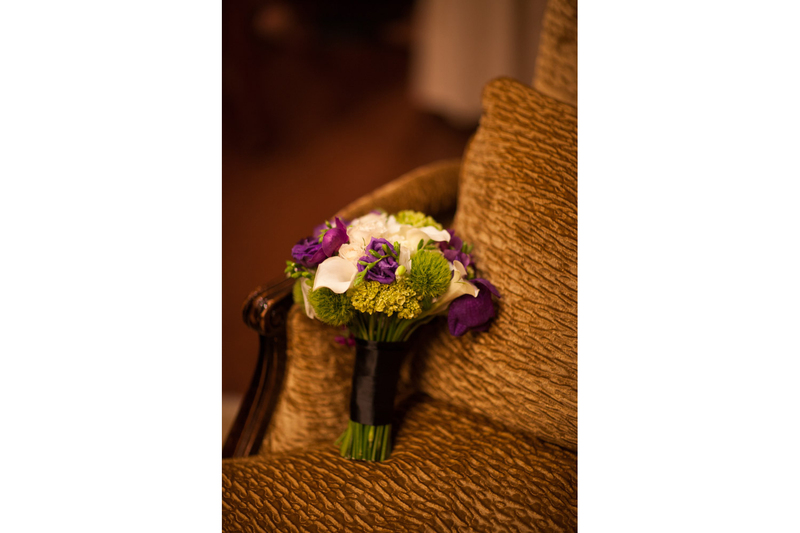 We captured some beautiful photo for everyone to enjoy and let us know what do you think. 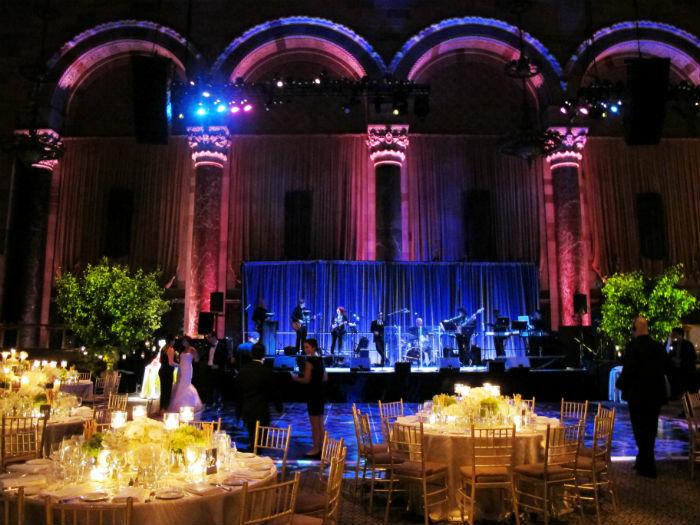 Thanks to the team from Cipriani 42nd street, and Star Group Production.